The fact that United Nation’s Human Development Index puts education in Finland in the list of the most successful educational systems in the whole world says a lot about the way Finnish people care about their future. 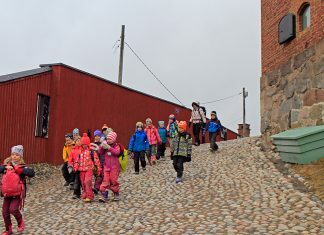 Finnish education system touches every aspect of moving into adulthood, including effective learning, psychological aspects of studying and much care about a happy childhood. These admirable people respect learning and never get tired of it. The Constitution of Finland provides its people with the right to education and culture. Every resident of this country has an equal opportunity to get an education. It is also worth to mention, that the right to equal opportunities in the field of education are controlled by the public authorities, which means that the government itself takes care of children, the future of their country. Furthermore, the equality in Finland has one more meaning: the development in this county has nothing in common with the financial status. Everyone who wants to get an education in Finland has all chances to make this dream come true. 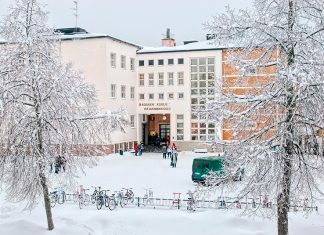 Each permanently resident of a compulsory school age in the country has a right to receive the same education as Finns do. The compulsory school age in Finland is from 6 to 17 years. The instructions are provided in the Finnish and Swedish languages. Still, there is also an ability to study in English, but in this case, there is a chance that you will have to pay for these classes. When the basic education is finished, Finland opens the ability to study a general upper secondary school or to get an education in vocational institutions. Later you will also be able to apply to a polytechnic or university. The last one requires passing the matriculation examination. So it is time to take your thinking hat and get closer to one of the best educational systems in the world! Are you ready? Let us start this amazing adventure!